Two seasoned Iraq and Afghanistan generals have been named to the top posts at U.S. Central Command and U.S. Special Operations Command, U.S. officials confirmed to Military Times. Marine Corps Lt. Gen. Kenneth McKenzie Jr. has been selected to serve as CENTCOM commander and Army Lt. Gen. Richard Clarke has been selected to lead U.S. Special Operations Command. McKenzie and Clarke will respectively replace current CENTCOM commander Army Gen. Joseph Votel and current SOCOM commander Army Gen. Raymond “Tony” Thomas after both retire next year. The changes at CENTCOM and SOCOM would be the latest in a string of regular shifts among the military’s top leadership. Last week the Pentagon announced that current military senior adviser to Defense Secretary Jim Mattis, Navy Vice Adm. Craig Faller, was nominated to lead U.S. Southern Command. In April, Adm. Phil Davidson was tapped to replace Adm. Harry Harris as commander of the newly renamed U.S. Indo-Pacific Command. Earlier this week, the Wall Street Journal reported that Air Force Gen. Tod Wolters is under consideration to become the next U.S. European Command and North Atlantic Treaty Organization supreme allied commander, Europe, to replace Gen. Curtis Scaparrotti, who is retiring. The top U.S. general in charge of operations in Afghanistan, Army Gen. John Nicholson, will hold his final press conference Wednesday on the state of operations in Afghanistan before his replacement, Army Lt. Gen. Scott Miller, takes over through a change-of-command ceremony in the next few weeks. The Journal also reported that the Pentagon is considering current Air Force Chief of Staff Gen. Dave Goldfein or Army Chief of Staff Gen. Mark Milley as the next chairman of the Joint Chiefs of Staff. However the current chairman, Marine Corps Gen. Joseph Dunford, is not expected to retire until October 2019, a defense official said, saying that it was a bit premature to speculate on potential replacements. Clarke’s name has already been placed on the Senate calendar for consideration for his fourth star, which would be part of his promotion to combatant commander, and McKenzie, while not yet on the Senate calendar, is widely expected to be confirmed as CENTCOM head, U.S. officials said. Both Clarke and McKenzie are currently assigned to the Joint Staff; Clarke as director for strategic plans and policy and McKenzie as staff director. Clarke served as the director of operations for Joint Special Operations Command from 2009 to 2011, to include the May 2011 special operations mission in Pakistan to capture or kill al-Qaida leader Osama bin Laden. Prior to that, Clarke spent six years with the 75th Ranger Regiment on assignments in Europe, Iraq and Afghanistan. 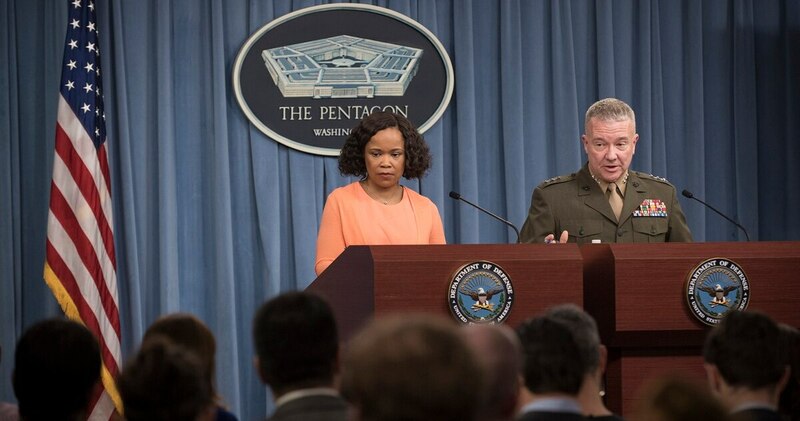 McKenzie has recently had a more public stage and presented the military’s update on ongoing operations during Pentagon press briefings with press secretary Dana White. Prior to that, McKenzie led combat deployments to Afghanistan in 2004 and Iraq in 2005-2006; and returned to Afghanistan in 2009 to lead stabilization efforts. In 2010 he became the director for strategy, plans and policy for U.S. Central Command, and in 2014 he assumed command of U.S. Marine Corps Forces, Central Command.